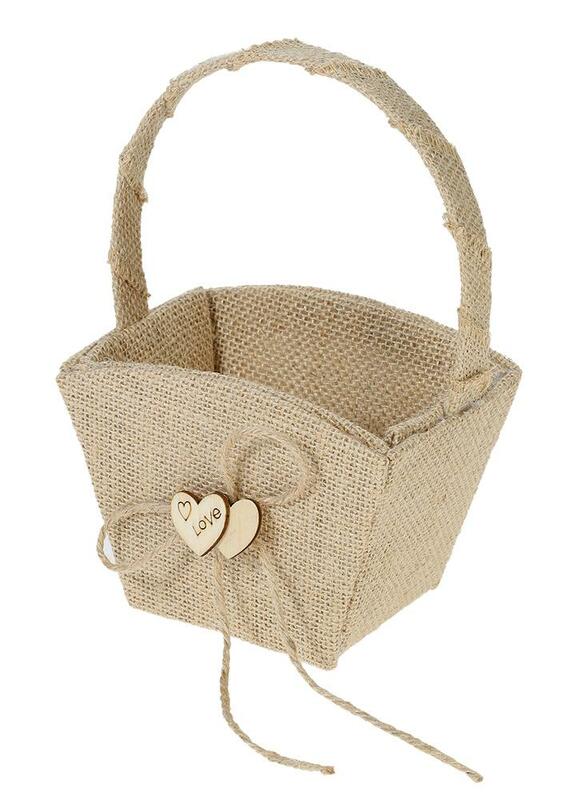 Burlap style flower basket, decorated with double wooden hearts and hemp rope bowknot, is exactly suitable for rustic themed wedding! Designed for flower girl to use in wedding ceremony party. Burlap style is exactly suitable for rustic themed wedding. The body of the basket is covered by burlap. Decorated with double wooden hearts and hemp rope bowknot. Appropriate size and light weight, perfect for little girls to hold. It is normal if the product has a little smell, you can put it in a well-ventilated place to reduce the smell before use.